China will launch its first ever moon rover mission on Monday, state media said, as Beijing embarks on the latest stage in its ambitious space programme. A rocket carrying the vehicle, named "Jade Rabbit" in a nod to Chinese folklore, will blast off at 1:30 am local time (Sunday 1730 GMT). "The Chang'e 3 is set to be launched for its moon mission from the Xichang Satellite Launch Center on Dec. 2," state broadcaster CCTV said on its verified Twitter account on Saturday. Official news agency Xinhua also confirmed the launch date, citing officials at the satellite launch centre in Sichuan province. If successful, the launch will mark a major milestone in China's space exploration programme, which aims to create a permanent space station by 2020 and eventually send someone to the moon. 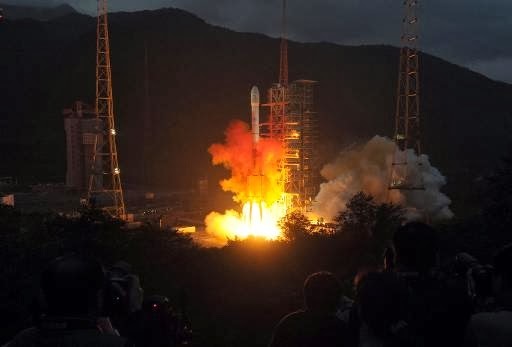 "Apart from launching astronauts into space, this is probably the most complex space mission attempted by China," Australian space analyst Morris Jones told AFP. "It will also make China only the third nation to soft-land a spacecraft on the moon." Beijing sees its military-run space programme as a marker of its rising global stature and growing technological might, as well as the ruling Communist Party's success in turning around the fortunes of the once poverty-stricken nation. China has previously sent two probes to orbit the moon, with controllers sending the first of them crashing into the lunar surface at the end of its mission. 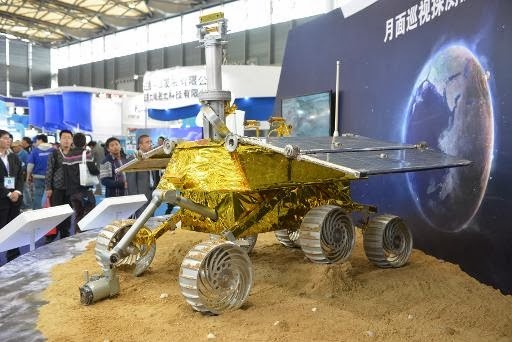 Early in November, Beijing offered a rare glimpse into its secretive space programme when it put a model of its six-wheeled moon rover on public display. The rover was later named "Yutu", or jade rabbit, following an online poll in which more than three million people voted. The name derives from an ancient Chinese myth about a white rabbit that lives on the moon as the pet of Chang'e, a lunar goddess who swallowed an immortality pill. Ouyang Ziyuan, head of the moon rover project, told Xinhua earlier this week that the ancient beliefs had their origins in the marks left by impacts on the lunar landscape. "There are several black spots on the moon's surface. Our ancient people imagined they were a moon palace, osmanthus trees, and a jade rabbit," he said. The rover's designer, Shanghai Aerospace Systems Engineering Research Institute, claims several technological breakthroughs with the vehicle. The Shanghai-based institute, a unit of China Aerospace Science and Technology Corp., which is linked to the military, says the advances include its "autonomous" navigation system and the way the wheels are able to grip the powdery surface of the moon. It can climb inclines of up to 30 degrees and travel up to 200 metres (yards) per hour, according to the institute. The showcasing of the rover came on the same day that India was due to launch its first mission to Mars, aiming to become the only Asian nation to reach the Red Planet. China's space programme has advanced significantly in the last decade. In October China marked the 10th anniversary of its first manned space flight. 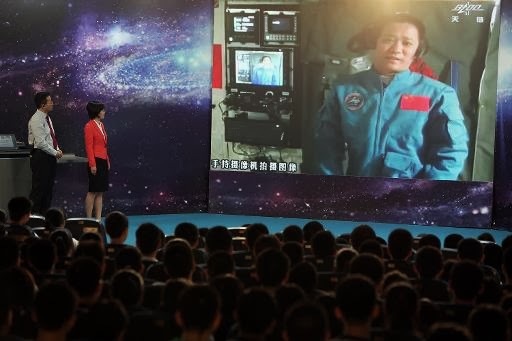 When Yang Liwei orbited the Earth 14 times during his 21-hour flight aboard the Shenzhou 5 in 2003 Beijing was so concerned about the viability of the mission that it cancelled a nationwide live television broadcast of the launch at the last minute. But since then, China has sent a total of 10 astronauts eight men and two women into space on five separate missions, and launched an orbiting space module, Tiangong-1.